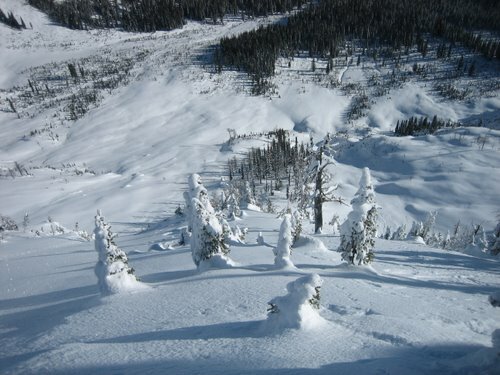 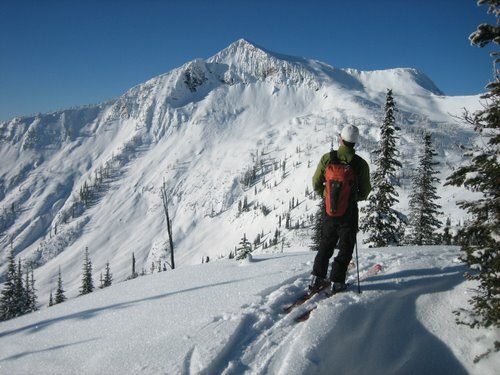 Just back from a couple of days ski touring out of the Yurtopia Yurt in the Nelson Range. 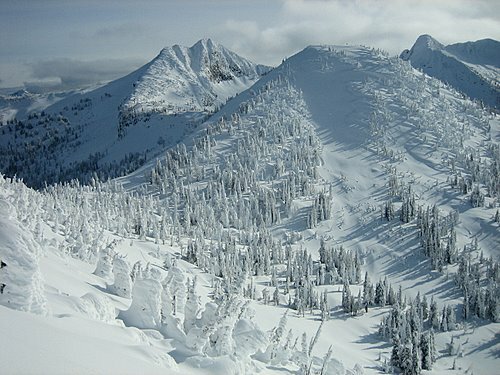 Andrew and I covered lots of ground and managed to ski off the summits of Kututle, Ymir and Seaman Peaks. 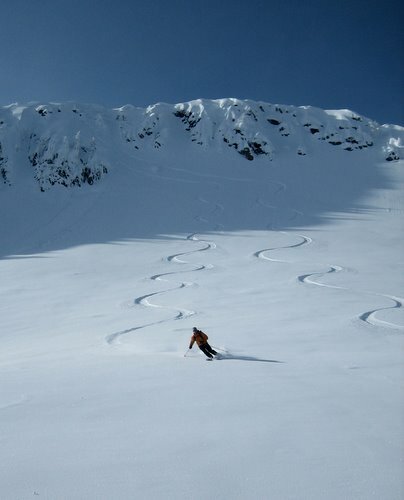 With stable hoar frosted powder and perfect visibility we were able to pick off a few aggressive lines. 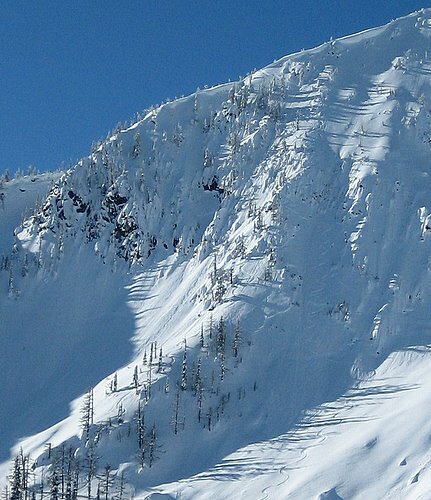 About to drop in to my line. 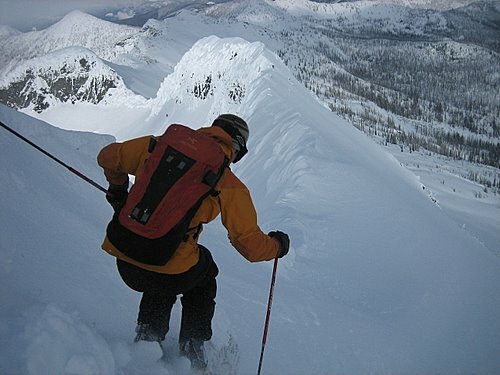 Nice shots – Nice lines – Stew, years ago I skiied the couloir off Seeman Peak – called the “nutcracker couloir” out of respect for the splitter rock near the bottom of the couloir before opening up onto the face. 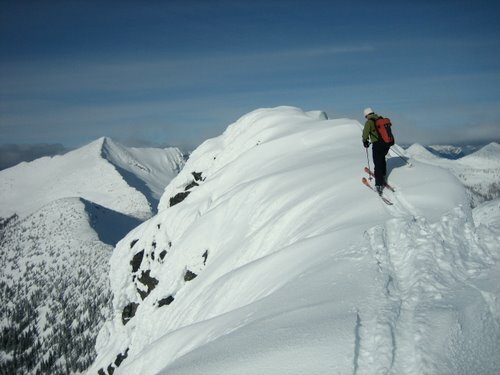 The avalanche fan looks pretty huge as you are starting down it…..